On our last full day in Tokyo, we tried to keep things low key (after all, we had already seen some pretty stunning Autumn Foliage and Winter Illumination displays). 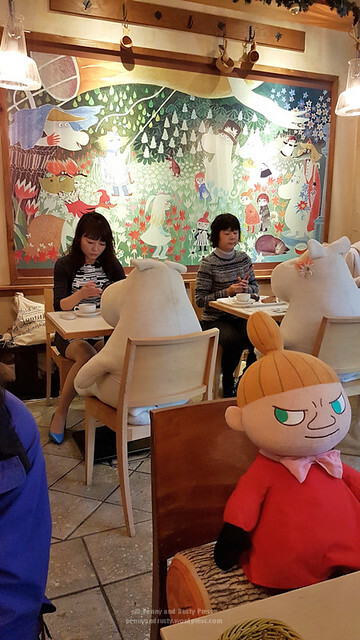 We opted for breakfast at Moomin Cafe again. Is it me or is Little My giving us the stink eye? We did some more shopping around Tokyo Station and then walked around the Ginza shopping district before we came across Ginza Bairin. 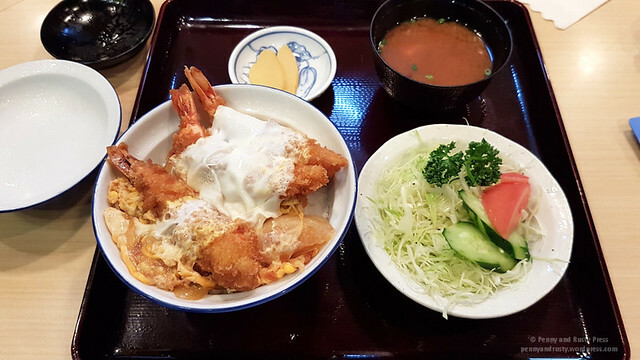 Our first encounter with this popular chain of tonkatsu restaurants was in Hawaii. I mentioned on our Kyoto post that we found a tasty German cake called baumkuchen which is made on a rotating spit. 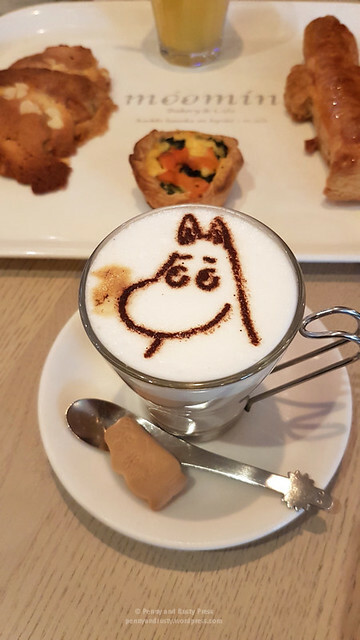 Nenrinya Ginza is only two blocks away from Ginza Bairin and is one of the locations that you can pick up these tasty desserts (you can also find them at the airport and in some department stores. Heading south-west, you’ll eventually wind up at Hakuhinkan Toy Park which is an amazing place for the kiddies (or for those young at heart). 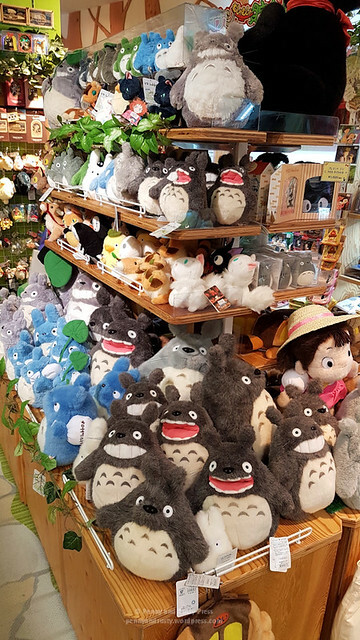 Where else can you find so many Totoros? Or Star Wars characters all marching in tune? 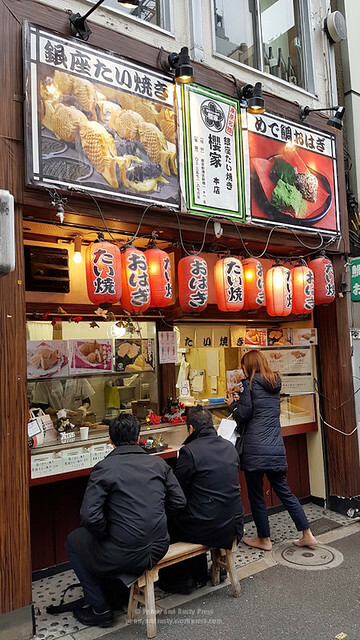 Sakuraya Taiyaki is only a stone’s throw away and specializes in taiyaki (a dessert shaped like fish and stuffed with sweet filling). 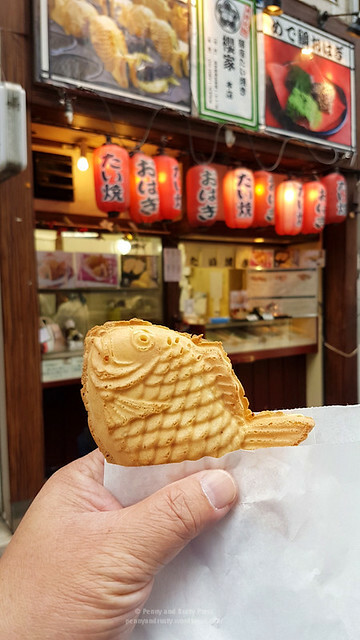 While red bean is the probably the most common filing, we opted for the strawberry taiyaki. We decided to have dinner back in the Tokyo Dome area at Kobe Motomachi Doria. 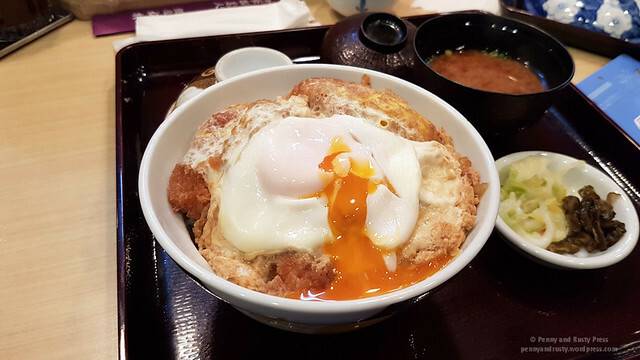 The “Doria” refers to a rice-based Japanese/Western dish that’s made with a creamy, cheesy sauce. 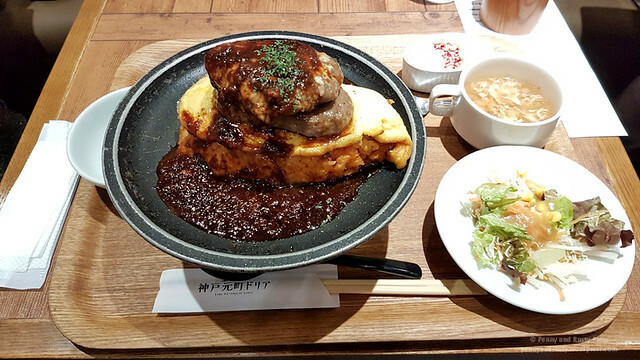 We also ordered an omurice topped with Hamburg steak and demi-glace.